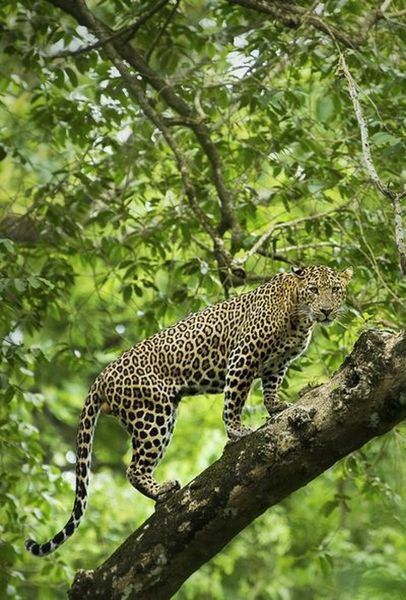 We are looking at pictures of Nature in and around the Deccan Plateau, Nilgiris and Western Ghats that showcase the diversity, colors, beauty, struggle and resilience of nature. "Glimpses of Nature"
What kind of pictures we are looking for ? Preference will be given to pictures taken around cities as we want to showcase nature around Hyderabad. Pictures of captive animals like in cages, zoo, and pets will not be accepted. · There is no watermark/copyright mark on the picture. 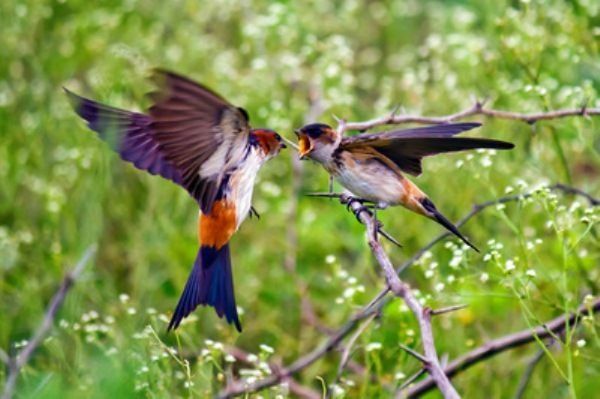 Each nature lover can submit upto 5 pictures. You will need to pay a fee for each of your picture selected for the exhibition. 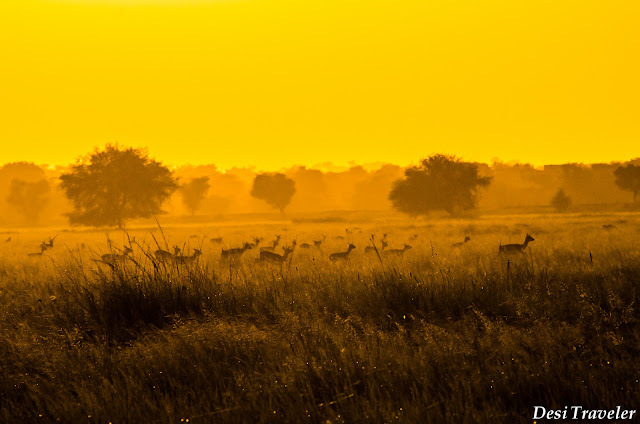 Please note that submitting a picture is no guarantee of picture to be selected as GHAC Nature reserves the right to select or reject any picture for the exhibition. The date of Exhibition as of now is: December 27 -30, 2014. However, the exact dates and venue of the exhibition will be announced later. RSVP at this link to join the waiting list. Then submit your pictures by email attachment to nature@ghac.in. Once your pictures are selected you will receive an email confirming which pictures are accepted. Accordingly you will be advised to make payment to GHAC account . Once your money is received in the account you will be confirmed for the same and your pictures will be sent for printing and framing. The last date to Submit your entries are 1st December, 2014. · Pictures should only be in JPEG/JPG format. However, while printing your selected picture you should be in a position to submit the RAW file also. 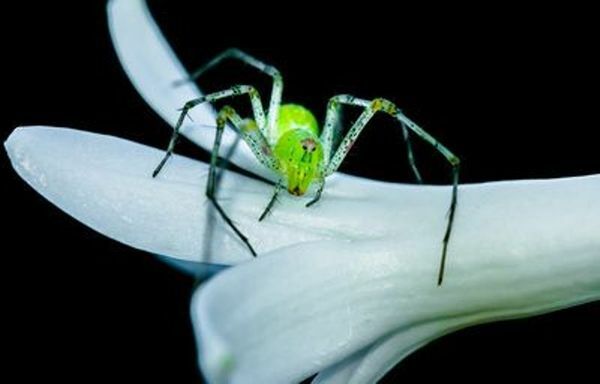 · The long side of picture should be a minimum 3500 px at 250-300 dpi. · All pictures should be named like: Your First name Your Last name What is in picture. E.g If your name is Amit Kumar and you are submitting a picture of bulbul this is how you will name the file: Amit Kumar bulbul. jpg. Similarly you will name all your pictures. · All pictures will be offered for sale at exhibition and the money received will be divided 50:50 between you and GHAC Nature. GHAC Nature will use the funds to further promote nature related activities. 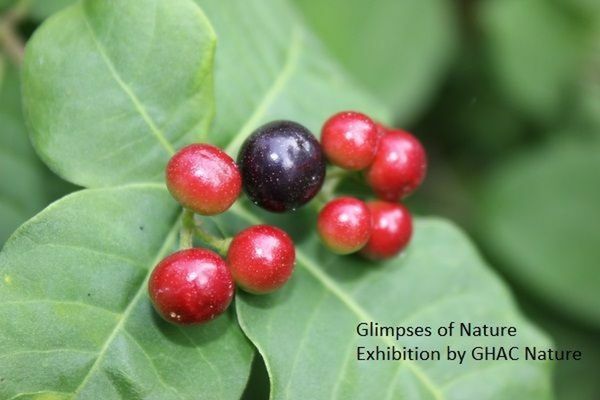 · Copyright: You retain the copyright of pictures, however by submitting the picture you agree that GHAC, GHAC Nature and its associate club/companies will be allowed to use the pictures for promoting the exhibition and other nature related activities without paying any royalty to you. Questions: Please post here on the comments section and we will be happy to answer them. Questions: Nature@ghac.in or in the comments below. 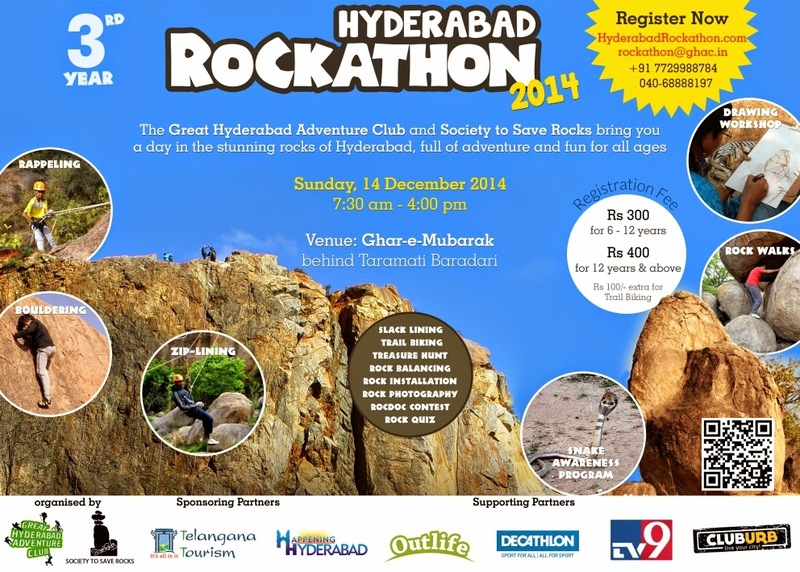 The Third Hyderabad Rockathon IS happening on the Sunday 14 Dec 2014 from 7:30 am onward and is a annual event to celebrate and preserve the beautiful rocks of the Deccan plateau. Score of exciting adventure and conservation activities are planned for the day at Ghar - E Mubarak behind Taramati Baradari, Gandipet Road. This place is a heritage precinct and has historical significance as the Qutub Shahi kings use to pray at Ghar -e Mubarak before taking up any new construction. The Golconda and the Charminar were built after the mortar material was pasted in the Ghar - e - Mubarak rock cave before start of the construction. The planned activities include rock climbing activities like rappelling, zip lining, bouldering and other activities like treasure hunt, trail biking, rock shot putt, photography and rock walks. Participation is limited . visit www.hyderabadrockathon.com to register. Event for all ages. Kids above 6 years can attend along with parent or guardian.